This week has been as varied and as busy as ever. We’ve had wee pirates in shivering our timbers and climbing the rigging (literally) and small Victorians learning about homes in the past. You can find out more about our programme of workshops for schools on our website. If you can’t find a workshop for a topic you’re studying, drop us a line, we might have something in development or we might be able to put something together for you. We also have loan boxes of artefacts and lots of other things, so do let us know if you need something. the hazel rods away to use in the building of the roundhouse. So a team of us (10 adults and 9 children) turned up on a drizzly Sunday to get stuck in. And although the skies were grey, the rain held off and we soon warmed up from all the lopping and sawing. It was tremendously satisfying to know that we were helping to manage the woodland and harvesting our own building materials. We left with a van full of wood, ready for the build in late Spring. I’ll keep posting project updates on the blog, but get in touch for more further details. Thanks for Hamworthy Park Junior School who invited us to deliver our Maths in Real Life INSET on Tuesday. We talked about maths through the ages and used museum artefacts to creatively think up maths problems. My personal favourite was ‘if it takes 10 minutes to beat a carpet clean with a carpet beater this size, how long would it take if the carpet beater was half the size?’. There were also some interesting suggestions looking at mass and volume (old bottles), using formula to work out the size of circles (pot rims) and how many bottles of beer that can be opened using old fashioned bottle openers. Museum staff also learned about numicon as a resource – very interesting. We’re going back next week to develop the ideas across topics. . .Great stuff. We are redeveloping our Changing Societies workshop to develop separate Stone Age and Iron Age workshops which can be delivered at school. We’ve got a really good plan – I don’t want to spill the beans any further at this point, but we’re using a Royal Institute model – demos, experiments and videos. We’ll be flint knapping, fire lighting and doing a bit of magic, all from your classroom. I’ll keep you posted. Hi everybody, my name is Sarah and I am the new intern at the Poole museum. I just arrived from Hamburg on Monday, where I was born and which will always be my favourite city. If you have never been there it is definitely worth a visit. Because the University of Muenster is a very good place to study I moved to Muenster which is a two and a half hour away from home. I am studying and living there for over three years now. At weekends I often return to Hamburg which I love..
Now I am spending some time in England to improve my English. I am going to work at the museum for four weeks. During my first walk through the museum I have discovered many different things. For example the old fashioned mangle which has two rollers close to each other so that the water can be squeezed out of your wet clothes after washing. This is comparable to our modern dryers. You can see the mangle in the corner of the old fashioned kitchen, between the ironing board and the yellow cupboard. So why don’t you just pop down and visit the Poole museum to see what other interesting objects we’ve got, you will find something for everyone here, that’s for sure. This will be the last blog post for 2015 which has been so busy it’s just whizzed by, so I’d thought a bit of reflection might be in order. operations here. We’re working on plans to rebrand our Young Curators programme and hope to take the guys involved in Takeover Day with us on this one. The enrichment programme at Bearwood School was incredibly successful and built upon the excellent Magna Carta celebrations there. We made string and fire, learned and used tracking skills, held skype sessions with experts and generally had a lot of fun. We’ve been looking at the impact of this programme and should have the formal results early next year. Our family activities have been a blast. We’ve built dens with little ones, hunted for eggs and spiders (not at the same time) and made awesome owls. The Scaplen’s Court Witch and the Barber Surgeon have been back to scare and delight. 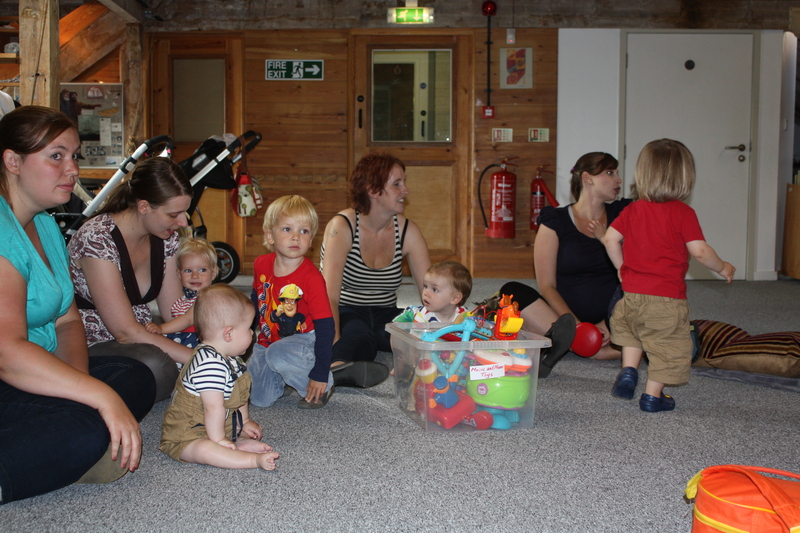 We’ve introduced new activities, like Mini Explorers and welcomed new families to our regular Museum Music and Mime group. Next year is already looking busy! Schools bookings are already filling up for next term – we’re introducing a new dinosaurs and fossils session which we’re trialling at Merley First School on 7th January. We’ve got some exciting activities planned for half term and Easter, but before that we’re hoping to do an archaeological excavation with Bournemouth University! And we have some amazing temporary exhibitions lined up. First up is some stunning work by two local artists, followed by the World of Wallace – Wallace was a contemporary of Darwin, who developed a theory of evolution independently (and actually slightly before Darwin). Then in the Autumn we’re hosting a magnificent exhibition of drawings from the British Museums. It’s full of drawings from the Old Masters and many others, it will be truly spectacular! So I would like to finish by wishing you all a Merry Christmas – here’s a quick pic of our favourite Christmas Elf to send you good cheer. Catch you all for more fun times next year. . .
that is what we students have just experience: complete pizza heaven! aside from that we have enjoyed activities such as manning the front desk, patrolling, helping in the history centre, preparing tours and shadowing. but more is yet to come, we will be actually doing the tours to poor unsuspecting members of the general public! Beware any visitors for we have taken over! I know. I promised more photos, but I never seem to have the right device charged when I’ve got a bit of time to blog. I will try harder. . .In the meantime I want to talk about something important. was reflecting on a short video of Emmie Kell from Cornwall talking about the importance of museums. 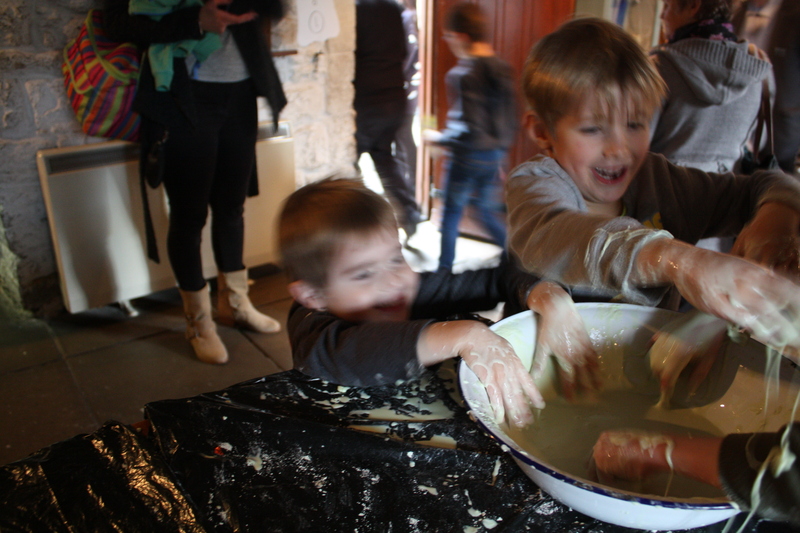 Did you know only 40% of Cornish school children visit a museum? Museums are important, but there are too many obstacles in the way. I spent many years researching the benefits of heritage learning, so I know there is evidence to dismiss reason 1. I think the answer might a bit of 2 and a bit of 3. Museums are important, but there’s so much to do: coaches are expensive; schools trips are laborious to prepare for and there’s serious stuff like maths and English to learn! One of the things we discussed today was the different priorities and values for cultural education across mainland Europe. So my question is what can we learn from our European partners and what can we share. AND CRUCIALLY how do these different values and approaches influence education and heritage at a national policy level – how do we address 2 and 3 above because museums are absolutely important. In this world of changing educational paradigms with a eye on the future we need museums to help our young people to explore, understand, champion and celebrate their unique identities and common ground as human beings. Let me know – we might just turn it all into a Europe wide project and then perhaps we can do our bit to make sure 100% of students from Cornwall get to visit a museum. Oh, and what about a picture after all. . .
Phew it was busy last week. 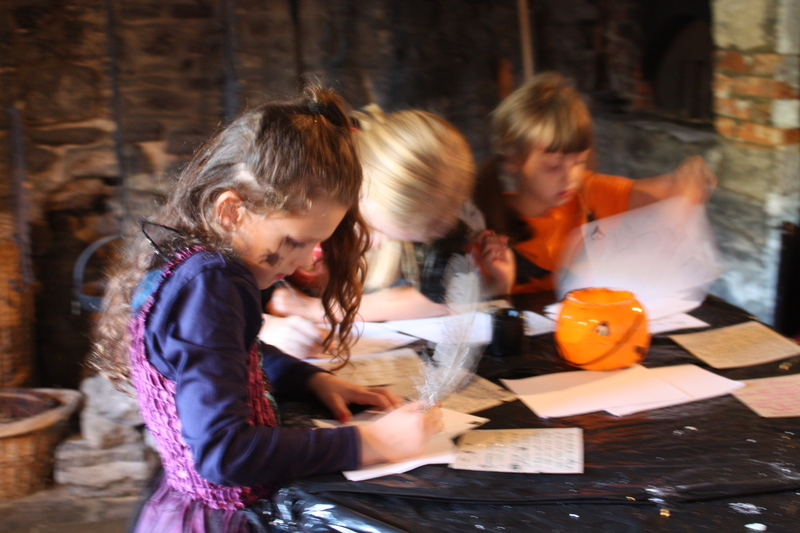 Awesome owls were made and spotted, Scaplen’s Court was scary, ghost walks ghoulishly garnished the end of the week. This week we’re welcoming lots of schools who are investigating local history and thinking about the Victorians and World War Two. We’re also starting a pilot project called Young Curators, which blends digital learning and historical research – it’s quite cool to mix up old and new! Last Saturday we ran our first training session for this year’s Takeover Day cohort and have another training day this Saturday. The young people involved this year are exceptional and so we are particularly excited about this year’s event. So if you’re free pop down on 20th November and find out what it’s all about. Otherwise, keep an eye on the blog and we’ll keep you posted. This week I’ve been thinking about our youngest visitors a lot. We’ve had several Mini-Explorers visits, I had the pleasure of showing a family taking part in a Starting Out course around yesterday and tonight I will be talking to local childminders to let them know about what we do and ask them what they would like from us. If you’re a childminder, pre-school teacher, parent or grandparent you can leave me a comment if you have any suggestions. And don’t forget you can drop into one of the Big Draw story sessions tomorrow 10.30-11.15. We’ll tell you some stories and then you can draw your own! It’s for children aged 2.5-5 and their carers and it’s free! Of course, we haven’t forgotten about our other visitors. I’m just sorting out a visit for a group from the University of the Third Age and we’ve got lots of school workshops running. Some of the team are outside today setting a tracking challenge for children from Bearwood Primary School. Shame about the weather, but that’s the beauty of the outdoors, it definitely puts you in touch with nature! And not to forget next week – pop in and see us. There’s lots on. 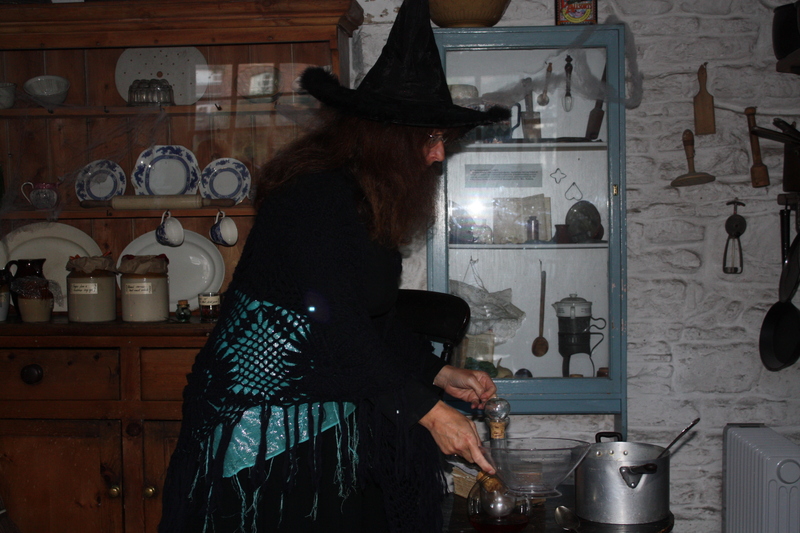 We’ve got an Awesome Owls trail running all week, an Owl make and take activity on Tuesday and our resident witch will be in session at Scaplen’s Court on Wednesday making potions and telling stories. And the best thing is, this is all free. Take a look at our What’s On guide. Oh, and we’ll be opening late next Friday – do you dare to take a scary tour around the Old Town with the ghostly Granny Cousins!! From the Stone Age to the future! We’re starting this week in the Saxon period, jumping back to prehistory, leaping forward to Victorian times and back again to the Stone Age. It’s enough to make you dizzy! It certainly is a varied week in terms of workshops for schools. And if that wasn’t enough we’ve got a meeting to plan a new roundhouse at Bearwood School, a tracking session in a wood and our regular singing group for babies and toddlers on Friday. And then there’s the future – a new blog. I haven’t got many pictures today, but I really want to make this all a bit more visual. So I’ve migrated over here. Early days, but I hope to make this look a lot more zinging as time goes on. There’s also an opportunity here. Would you like to write a blog post or two for me, are you good at blog editing. I could do with some help (as you can see). Drop me a line if you would like to flex your blogging muscles here. So given that we’re finishing our week with our singing toddlers, I thought I’d finish this post in the same way. Have a great week. . .